A recent report from the U.S. Department of Health and Human Services indicates that autism spectrum disorder prevalence has significantly increased to over 2% of all children in the United States, with an estimated 1 in 28 boys currently with an autism diagnosis. Professionals working with children diagnosed with autism spectrum disorder (ASD) may find that these children are overly sensitive to sounds. These professionals and parents are often concerned as to why children may have auditory hypersensitivities. The journal Autism Research and Treatment recently published a peer reviewed article which discusses the neural mechanisms identified underlying hypersensitive hearing in people. I wrote this article with Dr. Jay R. Lucker of Howard University. Our article focuses on brain research to support the idea of the non-classical auditory pathways being involved in connecting the auditory system with the emotional system of the brain. We also discuss brain mechanisms believed to be involved in auditory hypersensitivity, and treatments for hypersensitive hearing. This Wednesday, February 3rd at 8 pm Eastern, Dr. Jay R. Lucker will join me on The Listening Program Radio to discuss the topic of Autism and Auditory Hypersensitivity, the causes, treatment, and hope for those suffering from sound sensitivities. Register here for this free program and to ask us a question we can answer live. You’ll receive an email with the call-in number and a web link to listen online 3 hours before the show. Helping individuals with autism spectrum disorder (ASD) achieve their greatest potential has been something close to my heart throughout my career. This interest has lead me in many directions including; research, developing scientifically optimized music for brain training, conference presentations, board positions in autism organizations, and writing. One of my questions has been why do people with ASD so frequently demonstrate behaviors related to sensory over responsitivity (SOR), specifically auditory hypersensitivity, also called hyperacousis and misophonia? This is a condition that touches not just the majority of individuals with autism, but many others including the so-called “neurotypical”. Sound hypersensitivity can be absolutely debilitating. It is heart-wrenching to see a child or adult suffer pain or perception of pain from everyday sounds. In the quest to help, I’ve been so fortunate that Dr. Jay R. Lucker of the Department of Communication Sciences at Howard University and I share this interest. For years we have collaborated on research related to this phenomenon. Our first joint article on the topic “Auditory Hypersensitivity and Autism Spectrum Disorders: An Emotional Response” was published in Autism Science Digest in 2012. We then wrote an extensive follow-up to the Autism Science Digest article which is a deeper exploration into the neural mechanisms involved in auditory hypersensitivity which was just published in the peer reviewed journal Autism Research and Treatment. Professionals working with children diagnosed with autism spectrum disorder (ASD) may find that these children are overly sensitive to sounds. These professionals are often concerned as to why children may have auditory hypersensitivities. This review article discusses the neural mechanisms identified underlying hypersensitive hearing in people. The authors focus on brain research to support the idea of the nonclassical auditory pathways being involved in connecting the auditory system with the emotional system of the brain. The authors also discuss brain mechanisms felt to be involved in auditory hypersensitivity. The authors conclude with a discussion of some treatments for hypersensitive hearing. These treatments include desensitization training and the use of listening therapies such as The Listening Program. If you are a parent of a child with autism, caregiver, educator, or therapist who is touched by someone with autism, or you yourself are on the autism spectrum I do hope this latest research article provides some answers, and hope for relief from over sensitivity to sounds. A couple days ago I posted an article Ouch That Hurts about an auditory condition called misophonia in which annoying sounds can cause major rage. This morning The Today Show did a segment on this topic that you can view here. Most of the research into the cause of this and related disorders appears to be focused on auditory mechanisms. However, Advanced Brain Technologies Scientific Advisory Board Member and audiologist Dr. Jay Lucker of Howard University has been researching strong behavioral reactions to sound in children and suggests it is the emotional reactions must be dealt with. This was his response to a question we posed on the Healing at the Speed of Sound Facebook page. Ouch! Do You Ever Find Sounds Annoying or Uncomfortable? What Are They? Post your response here. Each of us have sounds we like or dislike, just as we prefer certain foods over others. 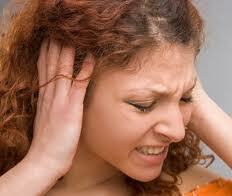 But some people experience pain with certain sounds, something called hyperacusis. Others dislike some sounds, a condition called misophonia, while others experience phonophobia, a fear of sounds. These conditions can be difficult to diagnose and hard to treat, although some have found relief with The Listening Program. Interestingly each of these auditory perceptual issues can trigger the body’s physiological response to stress, “fight/flight”. For years I suffered from hyperacusis (fortunately no longer) and can tell you it can be unbearable at times. These issues can be so debilitating, people who suffer from them may not leave their home in order to avoid the triggers. Yesterday The New York Times published an interesting article “When a Chomp or a Slurp Is a Trigger for Outrage“. 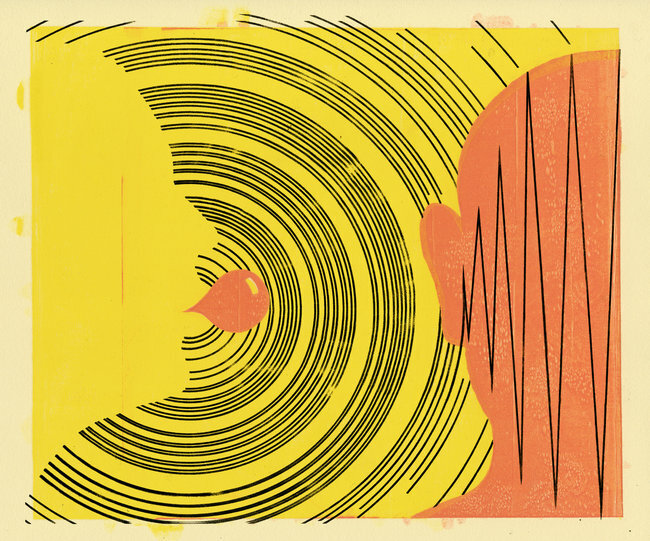 It delves into misophonia, and sheds some light on why sounds can trigger rage. If you read it please comment here. I am very interested in your reaction to this information. Flashback to 1985, its 2:00 a.m. and I ask my friend what that buzzing sound is. “What sound?” he replies. I can’t figure out where this strange noise is coming from and he tells me he can’t hear it. This was incredibly disquieting and led to a sleepless night. We were on winter break in my freshman year of college and had just returned from a concert by one of my favorite California Punk Rock bands (who shall remain nameless to protect the innocent) at the Utah State Fairgrounds in Salt Lake City. As a child I experienced ear infections, had ear tubes, and later developed hyperacousis which is sensitivity to certain sounds. On this fateful night at age 17, listening to loud, hard charging music my apparently fragile auditory system reached a threshold where it could no longer offer protection from this sustained aural assault. I experienced an acoustic trauma which quite likely started the ringing in my ears which I later learned was called tinnitus. I’m one of the fortunate people who only have brief experiences with these unusual noises seemingly created from within. They are short lived and only occur when I am under acute stress. However there are millions far less fortunate including my wife who have sustained and often punishing perception of noise. She suffers from a hearing loss and what is often unbearable tinnitus. Paradoxically an article just came to my attention titled “That Buzzing Sound- The mystery of tinnitus”. It was published in today’s issue of The New Yorker-Digital Edition. The author is Jerome Groopman who opens with a similar experience to my own where he makes the rather unpleasant discovery of a phantom noise that only he could perceive. Huge advancements have been made in tinnitus research and treatment. This is a well researched article that I highly encourage you to read if you or anyone you know experiences that strange buzzing sound.